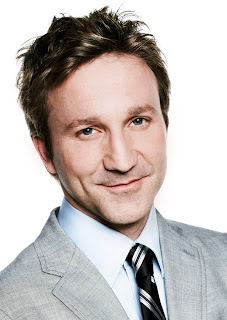 Check back next week for my full interview with Breckin about the new season of "Franklin & Bash" and his new show, "Men at Work." Q: When will my favorite show, “Rookie Blue,” be returning for another season? Please say it hasn’t been canceled! — Olaf D., St. Paul, Minn.
A: “Rookie Blue” will indeed be back for its third season on Thursday, May 24, at 10 p.m. ET/PT on ABC. Now entering their third year on the job, our five rookie cops have learned to overcome the sophomore curse — knowing a little knowledge is a dangerous thing. Having seen the premiere episode, I can tell you that it is indeed one that fans won’t want to miss! A: Sarah is slated to star in the new ABC comedy called “How to Live with Your Parents for the Rest of Your Life,” in which Brad Garrett and Elizabeth Perkins play the aforementioned parents. Sarah plays Polly, a recently divorced single mom who moves in with her eccentric parents, Elaine and Max. The show is set to premiere this fall. A: While the official word will come from ABC tomorrow, you can bet the farm that the top-rated drama series, which has smashed viewing records each week, definitely will be back for another season.